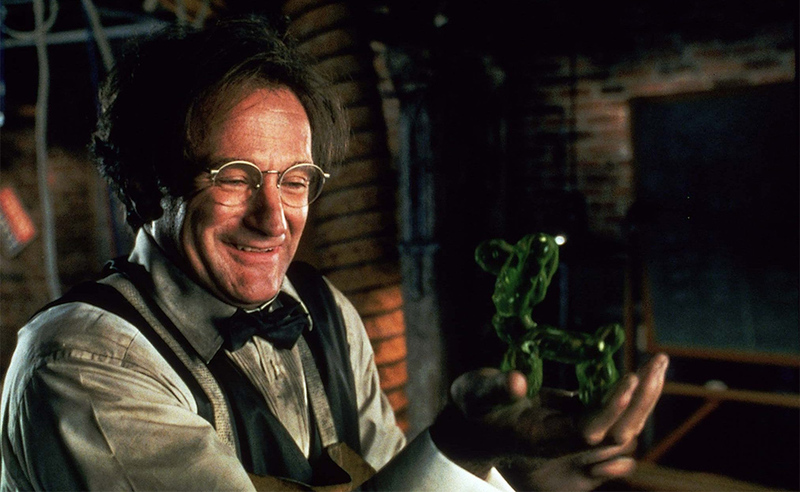 Philip Brainard is the protagonist of the 1997 Disney film Flubber. He was portrayed by the late Robin Williams. He is an eccentric but well-meaning scientist who creates Flubber, a living rubber-like super-bouncy substance. 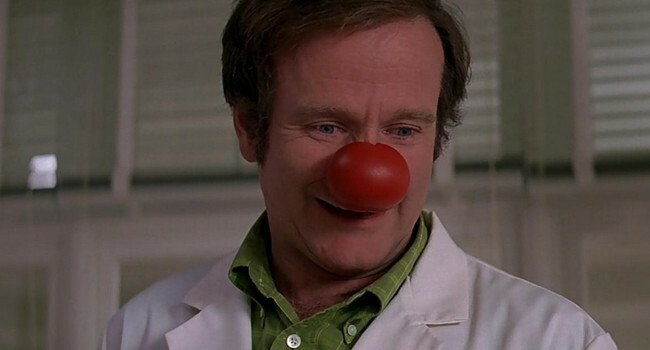 Patch Adams (Robin Williams) is an unorthodox physician, who took a more personal approach to his patients by using humor as part of his medical care, which sometimes included dressing up as a clown. 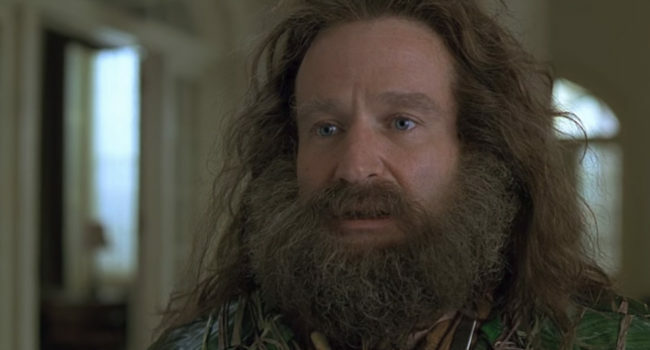 Alan Parrish is the main protagonist of the 1995 fantasy film, Jumanji. He was portrayed by the late Robin Williams. As a child, Parrish played the board game Jumanji and got trapped inside of it. Twenty-six years later, he was freed by two orphaned children named Judy and Peter Shepherd. This guide focuses on his iconic initial adult appearance after being freed from Jumanji. Just remember to roll a 5 or a 6. Theodore “Teddy” Roosevelt was an American statesman, author, explorer, soldier, and naturalist, who served as the 26th President of the United States from 1901 to 1909. 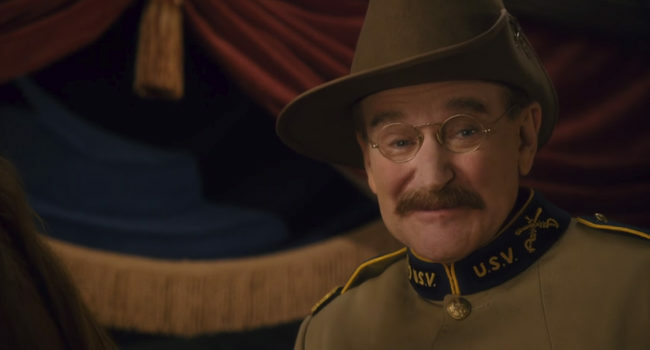 He was portrayed by the late Robin Williams in the 2006 American fantasy-comedy film Night at the Museum. 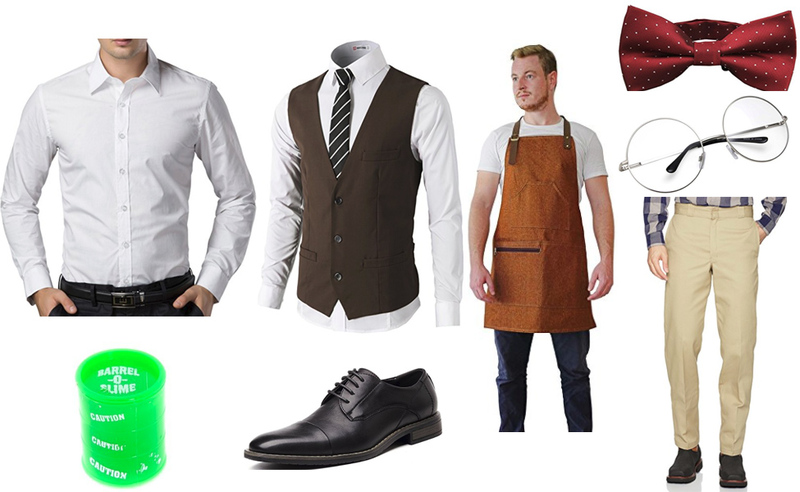 This costume guide is aimed at recreating that look. 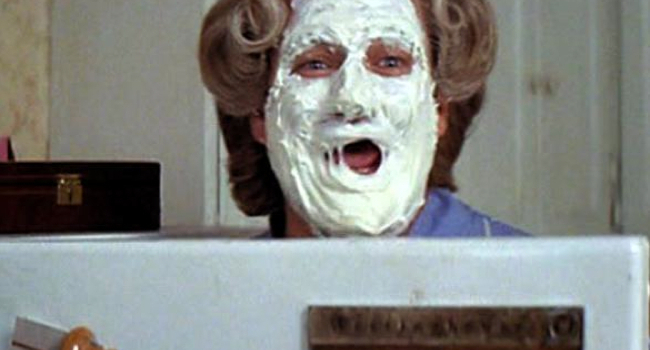 Helllooo, it’s Mrs. Doubtfire! Daniel Hillard (Robin Williams) creates the alias Mrs. Doubtfire to spend time with his kids after he and his wife separate. At one point he desperately tries to hide his real face by smooshing it into a cake – you could also recreate this look by the same method. 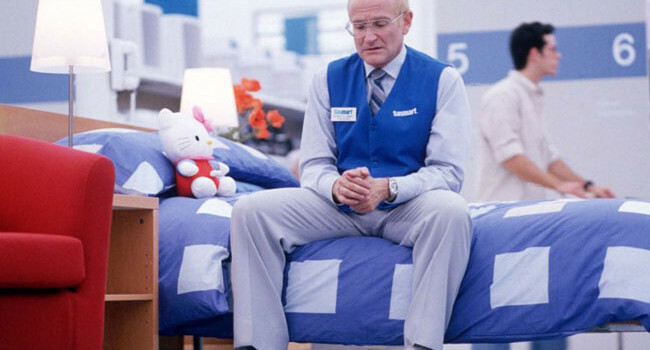 In One Hour Photo, Seymour “Sy” Parrish (Robin Williams) is a photo technician at SavMart. His has little to speak of outside of work, but works hard to do a good job. He fantasizes about the happiness and affection he sees in the photos, to the point that it starts creeping out his customers. 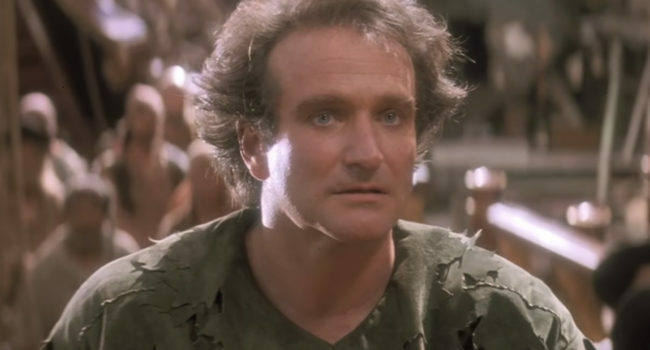 Robin Williams plays a grown-up Peter Pan in the 1991 Steven Spielberg fantasy adventure film Hook. It acts as a sequel to the original Peter Pan play focusing on an adult Peter Pan who has forgotten all about his childhood. In his new life, he is known as Peter Banning. However, when Captain Hook, the enemy of his past, kidnaps his children, he returns to Neverland in order to save them. If you want to make his coconut hilt sword, get a regular sword, paint it gold, and attach one half of a coconut bra to the hilt. You can cut some material from the costume for his shoe covers.